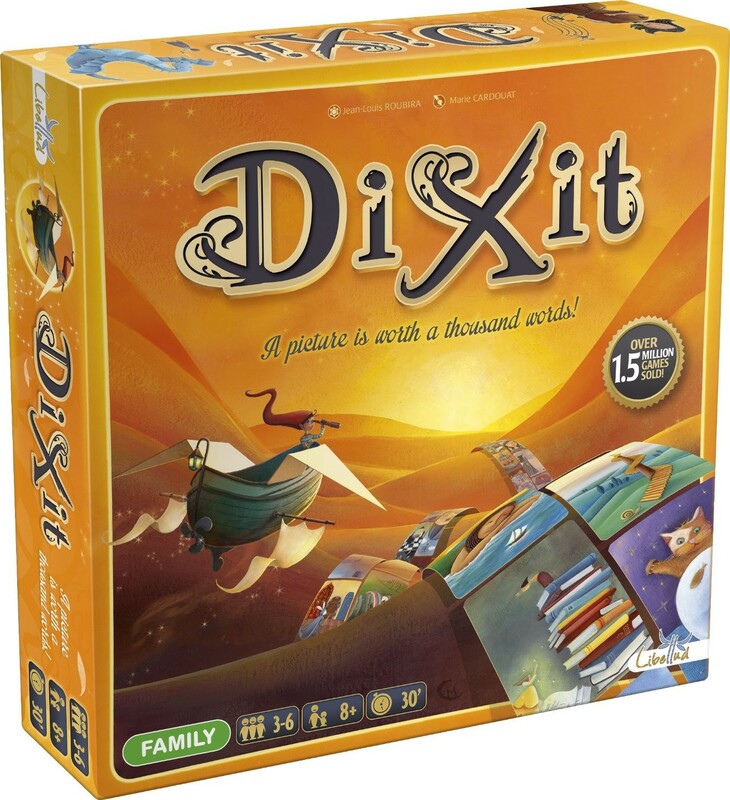 Dixit is an award-winning party game of free association, bluffing and imagery. Your hand consists of cards depicting whimsical and surreal original art. Each round, one player is designated as the story-teller; she picks a card from her hand and gives a vague (but not too vague) clue about it, like "whimsical sadness". 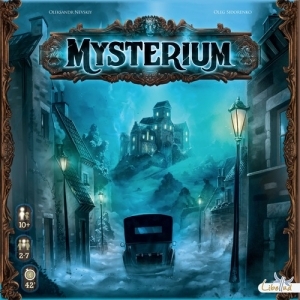 The other players will then pick a card to play that will fool other players into thinking their cards are the story-teller?s card.This is a beautiful and subtle game that is easy enough for children to grasp, yet rich and engaging enough for adult players to sink their teeth into. Best when played with 4-6 players. Dixit plays in about an hour.